This is couldn't be easier and only 4 ingredients! My husband used to call this "Claire's Chicken". We started dating when I was 19 and have been together ever since. 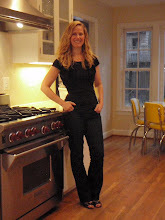 I didn't have a large repertoire of recipes back then and I think I probably made this dish quite a lot. He never tired of it and still loves it today. It's great in the winter with some mashed potatoes. 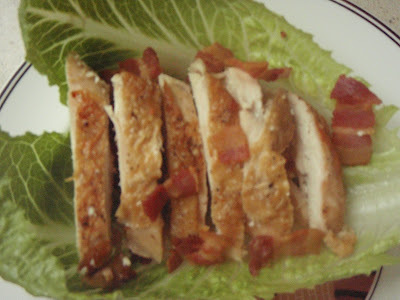 It isn't summer yet but tonight I served it with Rosalie's Summer Salad --just put the chicken over the romaine and topped it with the salad and some bacon. Delicious! Heat large saute' pan over med heat. 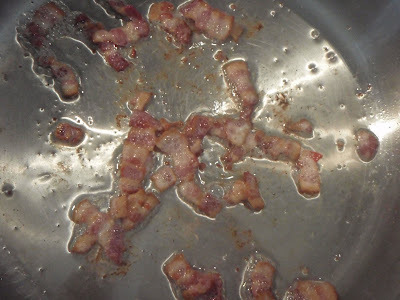 Add bacon pieces and saute' until all the fat is rendered and pieces turn rich mahogany in color. 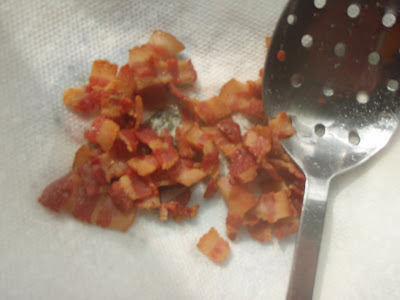 Remove bacon with slotted spoon to a paper towel lined plate. 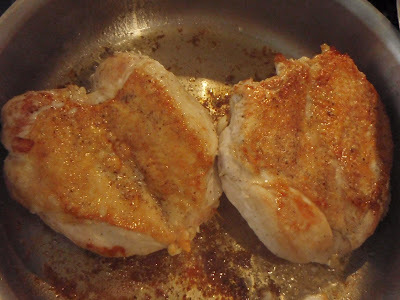 Season chicken with salt and pepper and put skin side down into the bacon fat that is left in the saute' pan. Cover and cook for 10-12 minutes. 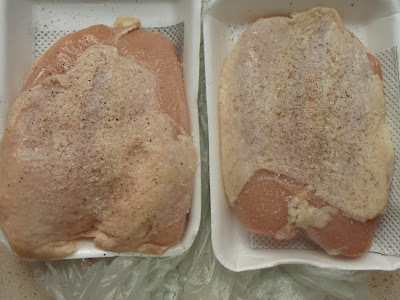 Remove lid and using tongs turn chicken over and cook for another 8 to 10 minutes, uncovered. 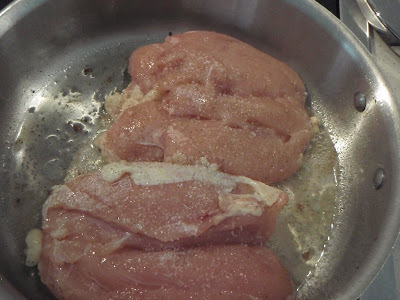 Remove pan from heat and allow chix to sit for about 5 minutes. Transfer chicken to a cutting board, slice, and enjoy! 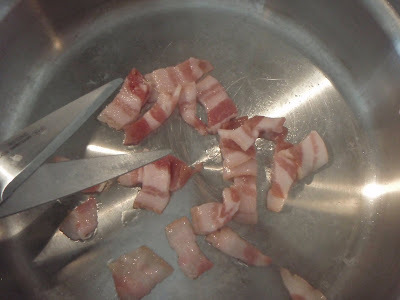 I use my kitchen sheers to cut the bacon into pieces.